WASHINGTON (CN) – The Supreme Court’s two newest justices led the way at arguments Wednesday in a case poised to upend a core tenet of administrative law. As is common of many a Trump appointee, Justices Neil Gorsuch and Brett Kavanaugh came to the bench as known skeptics of federal agency power, and that skepticism was on full display Wednesday morning. The case concerns Auer deference, so named after a 1997 decision, under which courts an agency’s interpretation of its own ambiguous regulation gets court deference, so long as the interpretation is not “plainly erroneous or inconsistent.” Before Auer, the doctrine was first set out in a World War II-era case and known as Seminole Rock. Like its relative Chevron deference, Auer deference goes directly to the power of administrative agencies, making it the target of conservatives who argue it raises separation-of-powers concerns. Gorsuch voiced the very same concerns today, saying administrative agencies should not be allowed to alter how their regulations operate without facing the normal procedures that announce changes to the public. He said this advantages powerful groups while potentially keeping less well-connected people in the dark. The case the court heard Wednesday involves a veteran who seeks more disability benefits on the basis that his participation in a bloody campaign of the Vietnam War left him with post-traumatic stress disorder. The arguments focused more so on the doctrine, however, than the specifics of the case. 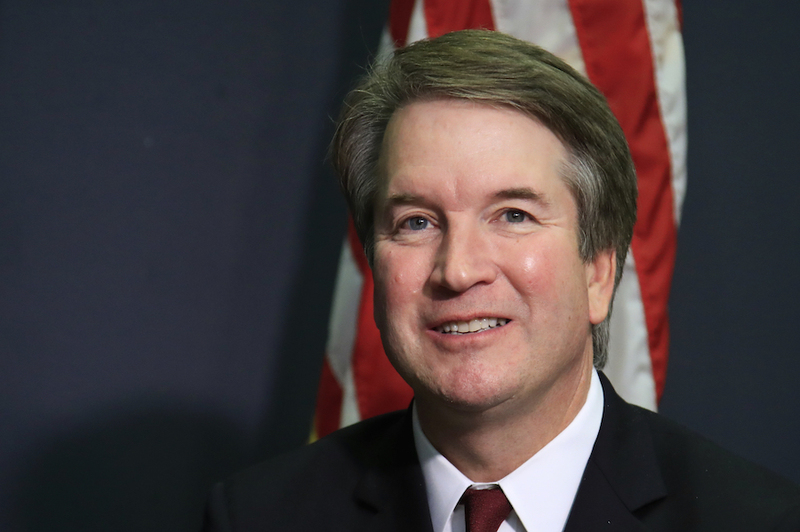 More restrained than Gorusch in his criticism of the doctrine, Kavanaugh lamented the problem of ruling regulations ambiguous in the first place. Representing veteran James Kisor, Paul Hughes with the firm Mayer Brown said the deference is beyond saving. When agencies invoke Auer to avoid public notice-and-comment procedures, Hughes said people impacted by those rules lose their chance to weigh in. “We certainly agree the agencies have a very substantial role to play in policy-making, but Congress made the judgment that the way that that is done in a democratic way accountable to the population is through notice and comment rule-making, such that the regulated public can provide their views,” Hughes said. He said courts could still use other deference doctrines to give weight to agency expertise in decision-making. Pointing to the deference doctrines known as Skidmore, however, Kavanaugh said there is “really no deference” because it is not binding on judges. Most of the opposition to Hughes’ argument came from the court’s liberal wing, who worried that overruling Auer would make it more difficult for agencies to issue regulations. Justice Stephen Breyer said administrative agencies have unique and valuable expertise on the issues they regulate, and that doing away with Auer would put judges in the position of deciding issues about which they know comparatively little. Other justices appeared concerned about the impact of overruling a holding so central to administrative law. Chief Justice John Roberts, seen as key to whether the court overrules or just narrows the deference, worried going from Auer to other deference doctrines would bring severe consequences. While not defending the doctrine as it exists, Solicitor General Noel Francisco urged the justices to avoid these downstream concerns by just making courts do more work before applying Auer. Francisco’s proposed test would require courts to go through a more rigorous process before finding the regulation ambiguous, then ask them to look at whether the regulation is reasonable, whether it came from the top level of the agency, came with appropriate notice, is consistent with the agency’s prior decisions and is within the agency’s expertise. Francisco said this would still preserve respect for agency expertise while making courts work harder before finding a regulation ambiguous in the first place. “I think what the judge needs to do is an extensive amount of work at the front end to determine if there is, in fact, genuine ambiguity within the language of the rule itself, much as like it’s required to do under Chevron,” Francisco said. But Gorsuch suggested Francisco’s proposal was too complex.